There's a cool website called Hometown Reads. They list books from local authors on their website. 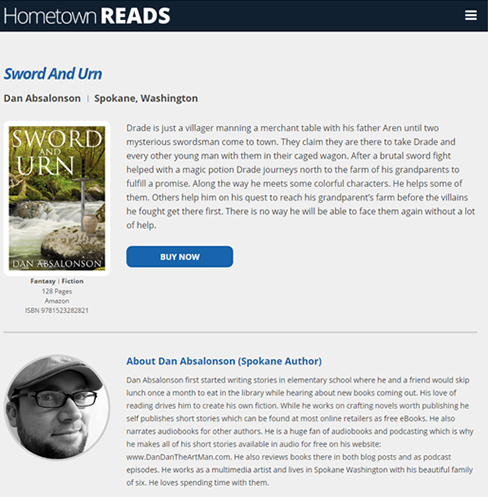 If you go to the Spokane section of their website you'll see a bunch of cool books by local authors. The page for my book has my book description, cover art, and even the a link to buy it! Pretty cool stuff. Thanks for stopping by! I'm On Vacation! Follow My Travels on Instagram!